The most beautiful cosmetic you can wear is a healthy skin. That’s why everything developed by Jane Iredale is a true extension of skin care. The makeup is not just a refinement of normal makeup; it is a new technology. Jane Iredale was the first to see the potential for offering the medical profession a mineral makeup range that was good for the skin. She has worked with leading plastic surgeons and dermatologists to develop her products, which are so effective they are highly recommended by skin care professionals worldwide. The micronised mineral bases are four products in one: foundation, powder, concealer and sunscreen, and will disguise almost any skin discolouration. Based on titanium dioxide and zinc oxide, the minerals give instant, broad-spectrum, chemical-free protection. Because there are no fillers like talc, one quick application provides all-day coverage that doesn’t fade, crease or smear. The skin is allowed to breathe and function normally. No sensitisers are used in the makeup like perfume or chemical dyes and preservatives. The mineral bases have anti-inflammatory properties and are especially helpful for problem skins. State of the art cosmeceutical ingredients are used to ensure the finest performance in coverage, application and texture. The vitamins and antioxidants are pharmaceutical grade. 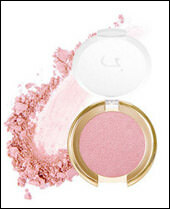 Jane Iredale Mineral Cosmetics are not tested on animals. 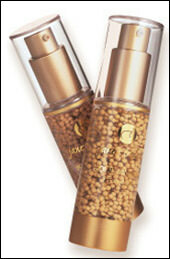 Jane Iredale Mineral Cosmetics are available to buy from Skin Deep Solutions. Please phone on either 0161 286 0617 or 07787 541059 to place an order.